Summer is coming and if you're like me, you'll be obsessed with new make-up trends. This season is definitely a time to embrace natural beauty and flaunt fresh pinks and light blushes. 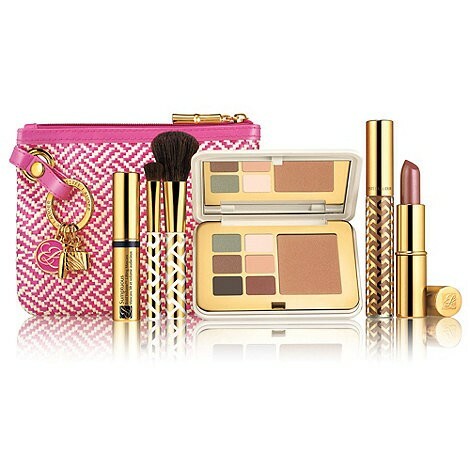 Benefit's 'Dandelion Wishes' Make-Up Set is exactly what you need to achieve your summer glow! Make sure you've entered my competition to win your set. Whether you win your set or choose to purchase, check out my top tips on how to achieve your natural summer look this season. What's in the box you ask? Look pretty in the perfect shade of pink and play up to your natural feminine beauty with Benefit’s brightening finishing powder. The sheer powder transforms your complexion from dull to glowing instantly. You can sweep it on your cheeks as a soft blush for subtle colour, or dust it all over your face as a highlighting finishing powder for a sweet look this spring. To prevent powder from gathering thickly on your skin, make sure that your foundation and concealer are applied evenly and lightly. If you tend to have oily skin, apply the face powder after tissuing off oil from all affected areas. Discover curl power with benefit’s roller lash mascara. The fabulous eye-opening Hook ’n’ roll style brush grabs and separates your lashes before curling them beautifully, styling an instant curve that will stay in place for 12 hours. It also contains provitamin B5 and serin which contain lash-conditioning benefits. Gently wiggle the wand from the base of your lash right up to the tip and repeat across your lash line. Make sure you catch every lash for the ultimate effect! Hold the brush at a horizontal angle if you want thick lashes, or turn it vertically for a more natural finish. Also, make your mascara do double-duty as a gel eyeliner to save money. Blow someone a kiss with this lovely lip balm from benefit. The long-lasting sweet hydrating balm with mango butter and sodium hyaluronate keeps spring in the air all year round. Glide on over a tint or bare lips for the prettiest lips. Pop in your handbag to top up on the move if you have a hot date or plans with friends after work. Drink plenty of water and moisturise your lips before even applying the lip balm to make sure your lips get a head start on looking smooth and perfect. This luminescent complexion enhancer will make you feel like a supermodel! The satiny pink liquid highlighter accents your cheek and brow bones for a natural dewy glow. You can use it as a spot highlighter over makeup or wear under completion products for a subtle luminescence. Day or night, this must have product gives you a long-lasting glow. Apply dots where you wish to add radiance, whether that is cheekbones, brow bones, cupid’s bow or your forehead, then simply blend. Add soft definition to your nose with a tiny bit of high beam on your bridge. If you’ve got a bad case of the under-eye bags or dark circles, simply dot highlighter under the eye area and in the inner corners, blending downward toward the lower cheekbone. This will brighten your eyes and make you look more awake. Swipe on a pretty ballerina pink gloss to create a beautifully pulled-together look in seconds. A perfect match to your dandelion brightening face powder, lovely! Clean your lips and exfoliate if you feel you have cracked dry lips and apply smoothly. Always apply after the rest of your makeup, as lipgloss can be a tricky thing to apply and you want to make sure it matches the rest of your look. Instead of putting gloss on like you do with lipstick (from left to right, top to bottom), apply gloss to the middle of your bottom lip only and then rub your lips together. This will add the perfect amount of gloss while keeping the gloss from getting goopy and way too heavy on you. So there you have it, all the tips you need to achieve a natural look that will last all day. Don't forget, enter my competition for a chance to win your box and enjoy!